The Hamblen County Planning & Zoning Office oversees, provides and assists the public with the following adopted regulations of Hamblen County: subdivision regulations for proper subdividing of properties, zoning resolution and map for permitted uses under designated zones, issues building permits, addressing of all county properties, updates county maps, and provides E-911 data on new streets.The Planning and Zoning office is also the point of contact for the Hamblen County Planning Commission. The office prepares information and documentation in preparation of agendas and prepares the meeting minutes. The County Mayor appoints all Planning Commissioners and Board of Zoning Appeals members. Their regular meetings are the first Tuesday of every month. In these regular meetings, the Planning Commission reviews subdivision plats, site plans, bonds, zoning appeals, zoning requests, variance requests, and interpretation of the regulations. Where can I get a copy of my septic system layout? The Tennessee Department of Environment & Conservation (TDEC) is located in the Planning Commission office and is open Tuesday and Thursday from 8:00 to 10:30. The representative for that office is Brian Murphy and he can be contacted at 423-587-7084. What regulations does Planning and Zoning enforce? This office enforces the regulations for Zoning, Subdivisions, Building Codes, Storm Water and Property Maintenance. 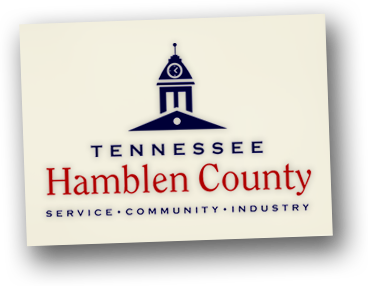 What building codes are adopted in Hamblen County?